Family Dentistry (Los Altos) - Book Appointment Online! I am Dr. Marina Manosov and I believe that good dentistry doesn't just happen. An excellent practice must be built, rather than just allowed to evolve. Realizing this, we've taken time to design a practice based on what we believe is best for our patients, rather than just what's convenient for us. This intentional planning pertains to every aspect of what our patients experience from the time they walk in the door: from the building's architecture, to the contagious friendliness of our staff personnel, to our systems and equipment, even to the way we help patients think through their dental health objectives. I am not exactly an ideal dental patient. I have a bad gag reflex and other difficulties, and I have a terrible habit of scheduling my appointments at the last minute. 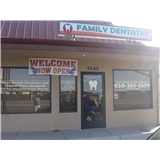 Family Dentistry - Dr. Marina Manosov still makes it a pleasant experience. Dr. Marina Manosov always choose the optimal way for elimination of emerging problems. They always do their best to fit me in. The entire staff is always friendly! Which puts me at ease and makes the whole experience better.